Winter in Minnesota is now in full swing. As such, it is important to keep your home in great shape so it can withstand the season’s harsh conditions. A part of it involves understanding the potential risk of roof collapse as a result of the weight of snow on the roof. KAT Construction, LLC, a leading storm damage restoration company in the area, explains everything you need to know about snow loads on your roof. The roof pitch influences how ice and snow accumulate on top of homes. Low slope and flat roofs, for instance, collect ice and snow more readily. However, roofs with at least three inches of slope for every 12 inches of horizontal distance offer snowmelt a chance to run off. Still, be aware of your roof’s ability to support the weight of the snow. 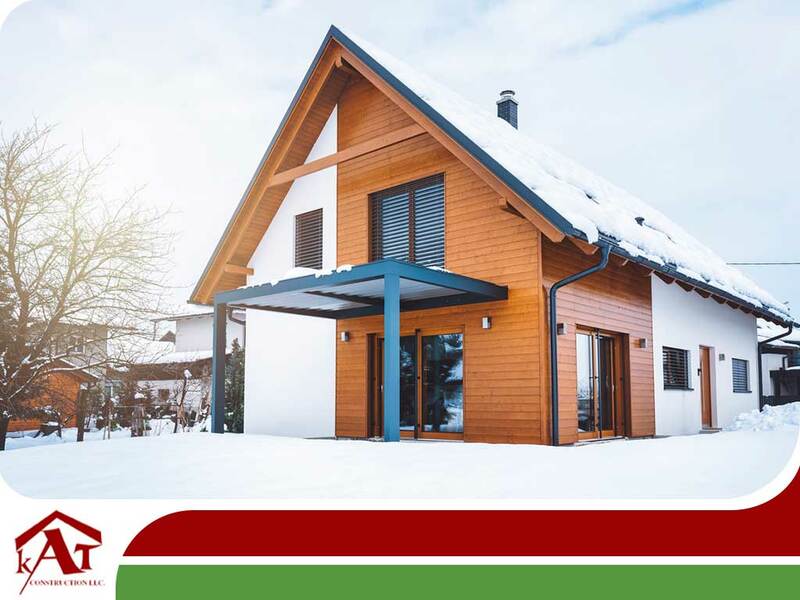 Unless the structure has suffered damage or has been showing signs of premature failure, a roofing system should be able to support 20 pounds per square foot of snow. Exceeding that number may put the roof under stress and increase its risk of collapse. Your storm damage siding restoration pros recommend working with roofers to explore your snow removal options. The type of snow can also be an indicator, according to the Insurance Institute for Business and Home Safety (IBHS). For example, four feet of fresh snow is allowed before the roof becomes stressed. For old, packed snow, anything more than two feet could be too much for the roof to handle. Combine these two, and they could weigh as much as 60 pounds per square foot of roof space. That’s more than the snow load capacity of most roofs. Prevent structural damage and other storm-related issues on your roof with KAT Construction, LLC. As your experts in storm damage window restoration, we ensure your property returns to its original form. You may call us at (612) 260-1144 to get started. You can fill out our contact form for a free inspection. We serve residents of St Paul and Duluth, MN.